For many cyclists, virtual cycling has been the alpha and omega of winter training for a few years now. When it is uncomfortable outside, you can conquer virtual mountains at home, climb epic alpine passes or visit digitized cities by bike. 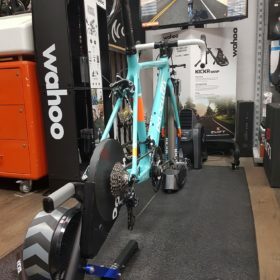 Virtual Cycling has become a must-have since Zwift introduced Watopia, their digital cycling world. We want to give you an overview of what “virtual cycling” actually is. 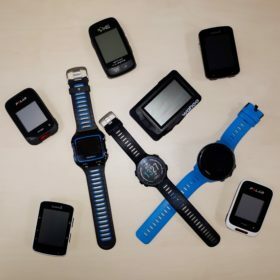 Which virtual cycling apps are there? What do you actually need to ride on virtual roads? We do not like to do things that seem boring to us, or things that are always about endless repetitions. Anyone who can remember training on a trainer five, ten or more years ago, will know this feeling. However, scientists have found that a monotone activity is much easier and more motivating for us if it involves elements of games. The technical term for this is “Gamification”. 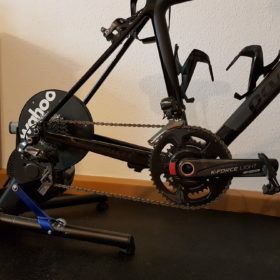 Due to new technical possibilities, such as power meters or smart indoor trainers it is possible to transform the otherwise so boring indoor training into a game. The basic idea of Virtual Cycling is that your performance on the bike is transferred into a virtual world. So there must be a visible and noticeable difference between a slow ride at 100 watts or an intense climb at over 300 watts. Working out in Innsbruck. Zwift rebuild the course of the World Championships 2018. How does Virtual Cycling work? Each Virtual Cycling App has routes or workouts preplaned for you. For each meter of each workout there is either a gradient of the road programmed or a target wattage. To be able to ride in the digital world your watts per kilogram are calculated. This allows the app to calculate your speed for the terrain you’re currently riding on. This means e.g. if your weight is 80kg and you pedal at 180 watts on the flat your ride at about 30km/h. With a gradient of 8% and consistent performance, your virtuall speed is at 8.5 km/h. Just like outside in the real world. 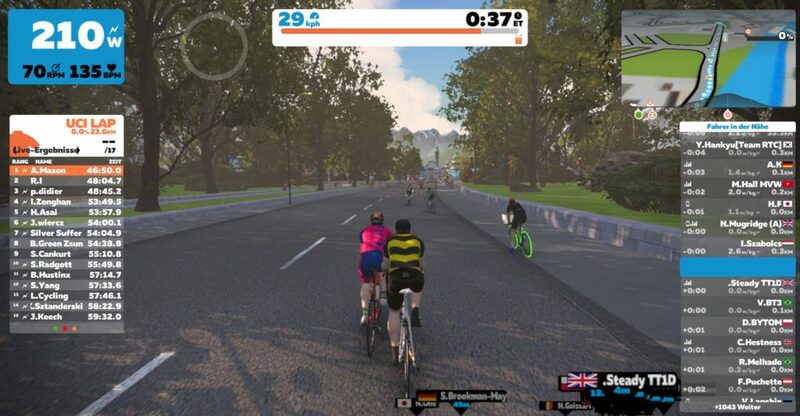 New York, London, the course of the World Championships in Innsbruck – the virtual cycling app Zwift, has digitalized iconic cycling areas. So without leaving your home you can ride through Central Park, the city center of London or compete on the same roads as the Pros did. 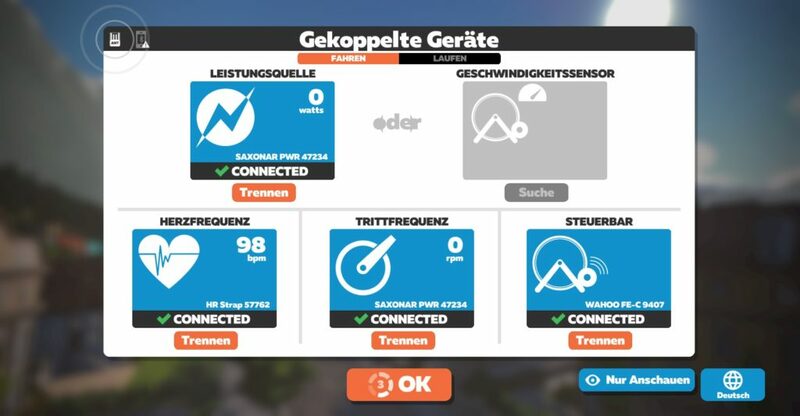 In addition, you can find Alpine passes next to roads through the jungle or an underwater glass tunnel in the digital world of Watopia on Zwift. Another app called Rouvy offers a different approach. Here your avatar is riding in a real-world environment and the focus is clearly on reality. Original climbs of the Tour de France and many other routes are available as a video and you can beat them at your own pace. The concept is called “Augmented Reality” and complements the real world with digital elements. Both in Zwift and Rouvy, the resistance of your smart trainer adapts automatically to the current gradient. AND: you are not alone on the road. Virtual Cycling allows riders from all over the world to log in and ride. You can meet your friends for a digital tour and ride together. If cycling is about competition for you, there are digital races almost every day! Which Virtual Cycling Apps are there? Only a smart trainer makes Virtual Cycling really interesting and fun. The connection between the smart trainer and your virtual cycling app enables the automatic adjustmend of you pedaling resistance. This means, for example, when you are going uphill, you will have to pedal harder if you want to keep up your speed. Smart trainers have built-in power meters that measure your performance and thus adjust the resistance. If you have a power meter on your bike in addition to your smart trainer, you will not only increase accuracy. A power2max NG or NGeco will also automatically transmit your cadence. Additionally, a power meter in Virtual Cycling enables you to use the same cycling power data on outside on the road. If you have a classic trainer and a power meter, the resistance does not change automatically, but this combination allows you to be on the virtual roads. Your wattage is the basis for the calculation of your speed on each terrain. Virtual Cycling is the ideal training in bad weather. Zwift is currently the most popular Virtual Cycling service and is compatible with many setups. Even smaller services like Rouvy are worth a look and usually have a free trial period.